Look for dates coming soon in the Bellringer! 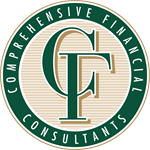 Comprehensive Financial Consultants began working with the employees of the Monroe County Community School Corporation (MCCSC) as independent financial consultants on June 1, 2008. Plan participants will be entitled to two office consultations each year at the office of Comprehensive Financial Consultants (CFC) without charge. In addition CFC will be available for a three (3) week period at the beginning of each school year. During this time period CFC will provide Plan participants with onsite access to financial consultants before, during and after school at such specific times and locations to be determined. Each month, during the school year, CFC will conduct onsite meetings at times and locations to be determined. A financial consultant from CFC will be present at these meetings to meet with individual Plan participants to answer questions and provide personalized information. The intent of the contract between the Plan and CFC is to provide planning services related to the MCCSC's 401(a) and 403(b) Plans and to provide consulting services related to retirement under the terms of the Indiana State Teachers Retirement Fund and the Public Employees Retirement Fund and how this ties into your own personal investment plan. If you are interested in speaking with one of our financial consultants please email Ryan Belcher at [email protected] and he will contact you by the next business day. Plan participants who exchange any amount out of a Vanguard fund must wait 60 calendar days before exchanging back into the same Vanguard fund. For purposes of the policy, ‘exchange out’ means a transaction which proceeds from redemption of shares of a Vanguard Fund in a Plan are used to purchase another investment offered within the Plan. For more information please email Ryan Belcher ([email protected]), Wayne Thacker ([email protected]), or click here. To learn about enrolling, investment selections or to change your investment options, please visit https://www.benefitwebaccess.com/retirement-horizons/. Your initial login will be your Social Security Number, and your password will be the last four digits of your Social Security Number.